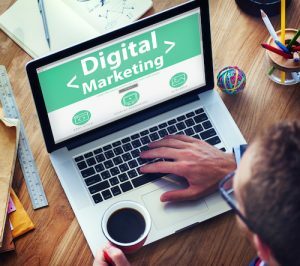 If your business is struggling with lead generation through your online marketing efforts, consider implementing these 6 digital marketing tips. Having a permission based online marketing approach could help drive more traffic to your website and increase your leads. Each page of your website should have a single keyword focus. Creating a long list of keywords relevant to your industry should be your first step. After doing so, it’s important to include a focus keyword in the SEO title of each page, also known as the Title tag. All content on your website should be of the highest quality and seek to answer the questions of your prospects. Our approach is to use long phrase keywords or questions for blog articles and more competitive, “money keywords” for the main pages of your site. If you’re using WordPress as your content management system, a user friendly plugin to use is Yoast SEO. This plugin allows you to easily update your title tag, meta-tag description, and will allow you to add a focus keyword to the page. Yoast even has a page analysis feature that will allow you to check your results and improve readability options. We’d suggest setting up a website on the WordPress platform and leverage the power of its blog engine. The built-in blog engine has an intuitive user interface that makes blog submissions fairly easy. Each blog should be a minimum of 300 words and include a compelling picture, that will be displayed when posting to your social media pages like Facebook, Twitter, Google+ and LinkedIn. Make certain your blog is optimized for the search engines using long-tail keywords. There are many online resources to learn how to rank your WordPress blog. Google will crawl your site and index your pages more frequently considering you are adding content on a regular basis. In addition, your site will soon begin ranking on your industry specific keywords that will help drive traffic to your site and increase your leads. How many times has someone shared your website’s blog on Google+, LinkedIn, Facebook, or Twitter? By pushing your content out to your social network and continually working to build your followers, you increase your chances of getting an external, natural link. Natural links will help your SEO efforts considerably. There’s also quite a bit of chatter amongst the SEO think tanks regarding social signals and how it may help your rankings on Google search. In addition, informative blog posts and other intriguing articles added to your social media pages on a regular basis will engage your audience and help to increase your company’s visibility. It all begins by knowing where your prospective customers hang out online and by setting up the social media strategy that will engage them. If you provide useful content without trying to sell your services directly, you’ll find another great strategy for lead generation. Since Google owns YouTube, new videos get indexed by Google almost instantaneously upon submission. When uploading your video to YouTube, your keywords should be used for the title and again in the description. Keep your video short (30-60 seconds) and setup a schedule to post new videos regularly. You can even embed your new video on a blog or landing page for best results. To get the benefit of citations, be sure to add your company’s URL to the description of the video as well. By following these tips, you may soon find your video on the first page of search results. Do you have a business listing on Yelp, Superpages, or Yahoo Local? If so, is it correct? There are many directory scanning tools that allow business owners to learn if their local listings are optimized on directories. Having a consistent business name, address, and phone number (NAP) on the local listings could prove to be beneficial for your small business. An optimized business description that’s rich in keywords helps build citation value which will lead to improved keyword rankings. Having the right keyword combination, effective landing pages with lead capture forms, and ad copy that increases the click through rate, are all part of setting up an effective Google Adwords campaign. In addition, ads that show up in one of the top 4 positions usually get more clicks so you’ll want to have a strategy in place to get there. Improving your Quality Score will help drive costs lower and increase clicks. At PersistSEO, we have a persistent digital marketing methodology that helps our customers generate more leads through content marketing, social media sharing, and SEO best practices. For a free online marketing analysis, complete the online form today or call us at (770) 580-3736 for more information.